Note: This article describes the Button module as of Beaver Builder 2.2. For information on the new and changed features from earlier releases, see this article. Traditionally, a web button is a pretty package for a link that sends visitors elsewhere when clicked. The Button module's button can also open a lightbox that displays a video or any other content that you can insert with shortcut or HTML. If you use the Beaver Builder Theme, by default the global color and hover color of buttons is the theme's accent color and accent hover color. This is set in Customize > General > Accent color. The button's default text color is white text for darker accent colors and black text for lighter colors. The default font family for the button text depends on the font family set for the <body> tag. Here are the details of the settings for each button example shown in the screenshot. There are also options for setting different button hover styles, as described in the Style tab details below. You can set the button's click action to either a link or a lightbox. When you set Click action to Link, a Link section opens. Enter the URL to the link or click Select to choose a page or post from your site. 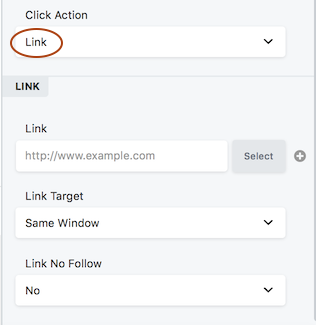 Set Link target to determine whether the linked page replaces your current page in the same tab ( Same window) or opens in a new tab (New window). The Link No Follow field tells search engines whether or not to follow the link. The default is No, which tells search engines to follow the link. Yes means "Yes don't follow the link." For more information about when to use nofollow, see the Google webmaster article. If you choose the Lightbox option, you next choose whether the lightbox content will be based on custom HTML content or a link to a video, as described in the following sections. 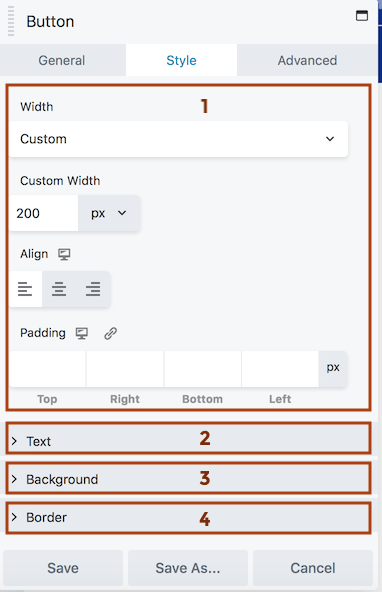 With the HTML content type option, an HTML editing box lets you enter custom HTML that will be displayed in the lightbox. This works great for adding shortcode. In the following screenshot, the shortcode for a saved row containing a Call to Action module was inserted into the HTML box to make an opt-in popup. You could also add shortcode from third-party plugins. For example, a plugin that uses a shortcode to display PDF content on a web page could be used to display the PDF in a lightbox by using the same shortcode in the HTML box. 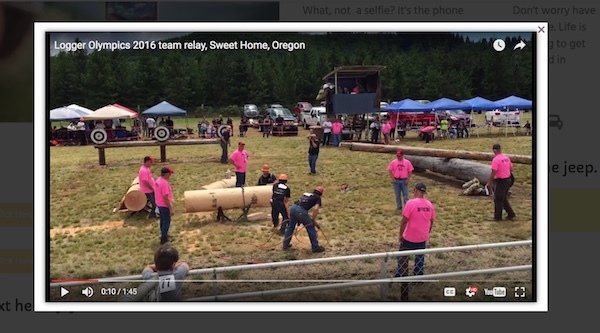 The video option works well as an alternative to embedding the video in the page. Insert the URL of the video you want to open in the lightbox, from a service such as Youtube or Vimeo. This tab has the following settings. Icon position: Before or after the button text. Icon visibility: The icon can be always visible or appear on hover only. Link or Lightbox. With Link, there is a URL field. 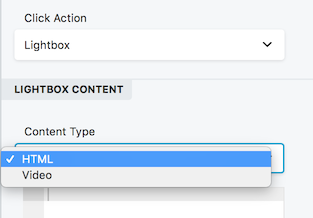 With Lightbox, there is a LIghtbox Content section with Content type to either embed content into an HTML field or provide a video link. See the click action examples in the previous sections. The Style tab is shown in the screenshot and described below. Auto width: Width adjusts to fit the text and icon. Full width: The width expands to the content area minus the module's margin settings. You can set a custom width in px, vw, or %. See the Related Articles below for more information about these units of measurement. See the Related Articles below for a description of how the alignment toggle settings work. Set a specific padding value in pixels. Click the Link icon to automatically make all four padding values the same. Set the button text color in the resting state. Set the button color on hover. If this setting is left blank, the Text color setting applies for hover also. See the Related Article below on the Typography section settings. Set the fill color for the button in the resting state. Set the button's fill color on hover. If this setting is left blank, the Background color setting applies to hover also. Gradient: gradient of the background color, lighter on top and darker on the bottom. Disabled by default. If set to Enabled, there's a 0.2-second linear transition from resting state to hover state. See the Related Article below for more information about the settings in the Border section. This module includes a heading, optional text, optional image (photo or icon), and optional button or link text. The link you provide works with any part of the Callout module, not just the button. This module includes a heading, optional text, and a button. 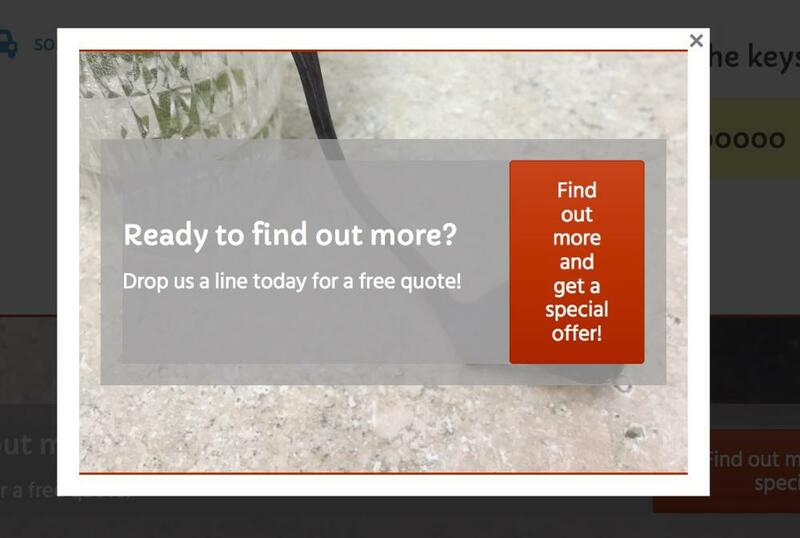 The link you provide works with any part of the Call to Action module, not just the button. Special settings to set up a contact form, with a button to submit the form. Special settings to set up a connection to any of a number of mail service providers, creating a form to subscribe with a button to submit the form. Tip: You can configure a Gallery module to open its component images in a lightbox with the addition of some code. See the Related Article below.